It was almost a surreal experience buying a car from Shima at Danbury Porsche. I’ve been to many car dealerships and I have never before been treated with such a friendly manner and knowledgeable service, especially when buying a pre-owned vehicle. Shima was easy to talk to and handled our questions and concerns with ease. Not only that, he worked quickly to secure the car loan, insurance, and registration documents for us the same day we test drove the car so that, within several hours, we were able to drive it home. We spent the rest of the day enjoying our new Porsche Boxster in the spring sunshine, top down, carving through the rolling hills and ridges of Connecticut. Thank you, Shima. That was amazing. It was almost a surreal experience buying a car from Shima at Danbury Porsche. I’ve been to many car dealerships and I have never before been treated with such a friendly manner and knowledgeable service, especially when buying a pre-owned vehicle. Shima was easy to talk to and handled our questions and concerns with ease. Not only that, he worked quickly to secure the car loan, insurance, and registration documents for us the same day we test drove the car so that, within several hours, we were able to drive it home. We spent the rest of the day enjoying our new Porsche Boxster S in the spring sunshine, top down, carving through the rolling hills and ridges of Connecticut. Thank you, Shima. That was amazing. This is the second Porsche that I have purchased from Danbury Porsche. Mike Killeen was very knowledgeable, patient, and professional. Van Kolton made the paperwork process smooth and painless. It’s a pleasure to deal with people that know what there doing. That’s an increasingly rare thing today. Shiema is the absolute best! He goes above and beyond! I’m hoping my husband and son get the pleasure of purchasing their Porsche with him! Thank you THANK YOU!! I love my Porsche!! 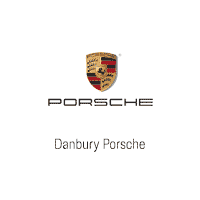 Had a great experience with Shima Fukano at Danbury Porsche. Very helpful, enthusiastic and professional.